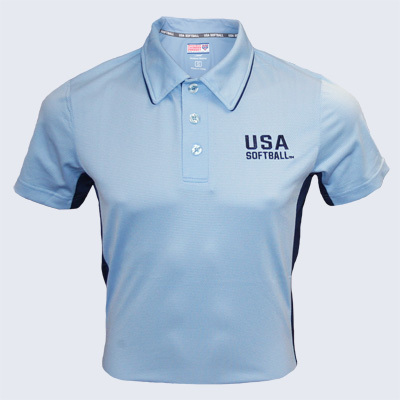 Official umpire shirt of USA Softball. Powder Blue with Navy side flank panel. Self styled collar with navy trim accent. Performance polyester fabric wicks sweat away from your skin to keep you dry. Wrinkle free for easy care. Sizes from Small to 5X.